Among those surrounding Lukashenka there are people waiting for changes. They should get clear signals that their position will be rewarded and appreciated, because the fate of the revolution, evolution or other change that will inevitably come to Belarus at а crucial moment may depend upon them. Getting sulky does not make sense, it is better to look for the weak links in the chain surrounding Alexander Lukashenka to establish communication channels with the regime. European tirades against the Belarusian president, at best, backfire as seen in what happened a few weeks ago with Guido Westerwelle and Radoslaw Sikorski, and in the worst case they fuel domestic propaganda that "Belarus is under attack." Under the very worst scenario an European reproach provokes retaliatory measures against the opposition. Despite Lukashenka's peculiar behaviour, his policy deserves a solid response: not just ambiguous ridicules, but a list of concrete conditions. Did the US Secretary of State George Shultz and President Ronald Reagan shout or mock Wojciech Jaruzelski in the 1980s? No. There were a few harsh man-to-man comments and a long silence afterwards. Determination was expressed by actions, but not by public quarrels or a growing number of public statements. Lukashenka has to be treated with all seriousness: since prisoners may be tortured in Belarus, a large group of opposition activists live there in danger. This may sound surprising, but Poland can do much more to influence EU policy towards Ukraine than towards Belarus. With regard to Minsk, after 2007 Polish diplomacy became a victim of European illusions, whose repeated discussions is a waste of space and time. The balance of the Polish and EU policy towards Belarus after 2007 and, especially, after the falsification of the election on December 2010, proved to be negative. The policy unwittingly contributed to a deeper split within the Belarusian opposition and enhanced the dictatorial power in the coming years. The Union of Poles – the biggest non-Lukashenka social organisation in Belarus- is weakened, and Angelika Borys is gone. It is worth mentioning that there were no talks about any serious sanctions other than the visa bans, which served only a symbolic function. Western diplomats openly discussed the possibility to persuade Minsk to engage in negotiations with any representatives of the opposition in order to justify another change of the course by the European Union. But Lukashenka seemed either not to understand the situation, or did not care for better relations with the EU. Poland must have partners to build an effective policy towards Belarus, It will not happen without good relations and trust with Lithuania. European short-circuit arrays to Minsk must begin with the agreement of Vilnius and Warsaw: Minister Andronius Ažubalis must feel like a participant in the policy, now he says he finds himself on the sidelines. Otherwise, Lithuania will make Brussels accustomed with the fact that this country has its own separate agenda for relations with Minsk. In the context of Belarus it should be also applied the same manoeuvre as to Kyiv and further engage the head of Swedish diplomacy, Carl Bildt. Stockholm's policy is driven, similar to Polish policy, more by human rights than investments: this is why co-operation of Sikorski with Westerwelle (they had slightly different objectives) to Minsk was not as efficient as could be effective in tandem with Bildt. In any case, Lukashenka must know that Poland has partners who firmly stick to the European standards of conduct in humanitarian issues. It must be clear to him that political discussions with anyone from the European Union will not be possible until Ales Bialiacki and other political prisoners will remain imprisoned. For pursuing a policy in Minsk, one has to create unofficial channels of communication also with the authorities. In the case of the destruction of official channels of communication, some kind of by-passes are needed – at this level Lukashenka is treating seriously his partners from the former USSR. Contacts with the regime should be maintained by through the Georgian and Ukrainian diplomatic missions – even for those countries serious fulfilment of this mission would be a good "European exercise". Both in the Ukrainian government and parliament, and the top positions in Tbilisi there are people who have the opportunity to talk to Lukashenka personally, like Victor Yanukovich and Mikheil Saakashvili. Lukashenka himself recently indicated another channel – the Catholic Church. Even in times of the most cooled relations with Minsk a meeting with its representatives were nunciatures, like that led by the then Archbishop Joseph Kowalczyk in Warsaw. In this context the question remains, to what extent would Belarus Archbishop Tadeusz Kondrusiewicz take a role as an intermediary, if he avoids politics in Minsk even more than he did in Moscow. If Lukashenka is not sending only confusing messages, but makes a serious offer, is he able to treat the Catholic community as a subject, as Wojciech Jaruzelski did thirty years ago in Poland? Another problem is the relative weakness of the Belarusian Catholic Church and the lack of tradition with its political involvement: by the way, the predecessor of Kondrusiewicz, a very deserved Cardinal Kazimierz Swiatek, avoided like the plague any nonreligious activities. At an elegant French restaurant one of the members of the European Parliament tells a Belarusian anti-regime activist that the biggest problem in Belarus is the weakness of the opposition and divisions within it. We face a crucial question: what stance should adopt the European Union in relation to the opponents of Lukashenka? Voicing constant accusations and reproaches that the opposition is divided is unproductive and annoying for opponents who are already cowed. It simply cannot be otherwise in the circumstances where the Belarusian opposition activists have to work. And the case is even more mysterious that since as some observers point out Brussels (and also Warsaw) originally supported Alexander Milinkevich, whose name gathered activists associated from different groups . At some point, however, the competing candidates began to receive similar support, including the one having contacts with Moscow – a poet and the leader of the campaign "Speak the Truth!" Uladzimir Niaklyaeu. Projects of above-mentioned activists were simultaneously supported by Brussels, Warsaw and Moscow. Eventually, Russia became the most important donor for democratic movements in Belarus. The post-Soviet world often tested the potential consequences of such policies, like most recently the colour revolution in Kyrgyzstan. While it is somehow possible to understand complains that the opposition is not uniform, the process of its further splitting is extremely difficult to accept. Three years ago, Milinkevich slowly matured into the role of leader; today we have several pocket leaders divided over the question of whether democracy should be "a-la Brussels" or "a-la Moscow". The truth is brutal: very few revolutions are made by revolutionaries themselves. Successive waves of transformation, especially so-called third waves including Poland, Hungary and Lithuania, but also the fourth – in Egypt and Tunisia show the sad truth. In Poland in 1989, Adam Michnik sought allies among the reformers in the Communist Party and the Kaczynski brothers. It is because the ruling elite will always have someone who does not want to end their political life with the fall of the dictatorship, and we need to "help" them. This policy has benefits but also costs. In order for changes to start happening, in the last phase, co-optation of the current regime to the camp of the revolution takes place. It will be also like that in Belarus. Something similar will also happen in Belarus. Therefore, in addition to a revised approach to the opposition, the second important vector of the EU policy should be to work with the current ruling elite, and there are many different ways to do so. Lukashenka will not conduct free elections (it is better for everyone to stop this wishful thinking), but one can push him to release prisoners and agree to some liberalisation of the media, abolition of censorship and the restoration of rights of national minorities. Meanwhile, Europe has to take a breath, stop being nervous and treat Belarus as a testing ground to implement the EU's foreign policy. But they should do so without counting on quick profits, without procrastination, and without the conversion of freedom for hard currency. Poland still has a chance to translate the Belarusian failure into a success – we are justified to exert far more of an impact on the European Union decisions than ever. It should be a consistent policy for years to come. And successes will come sooner than some people think. 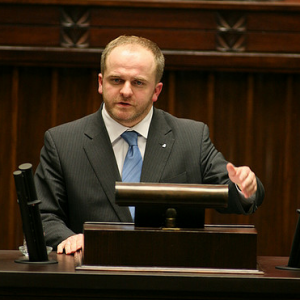 Pawel Kowal is a member of the European Parliament and a former deputy Minister of Foreign Affairs of Poland. He specialises in Eastern Europe. A longer version of this article appeared this month in Nowa Europa Wschod­nia in Polish.